If you have a shop on Shopify, and you wish you’d have a cool tool to route plan your orders, read this user-guide. Until now, you would export your Shopify delivery orders into a CSV file, save it on your computer and upload it to our site. 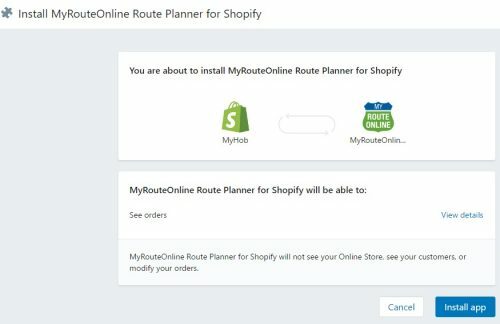 Now, you have an app on Shopify where you can export the orders you need to deliver into MyRouteOnline and click ‘plan my route’. The selected addresses go straight out of Shopify and into MyRouteOnline Route Planner. MyRouteOnline Route Planner will open with the selected Orders’ Shipping Address & Title and you’ll be able to plan your delivery routes.